Brick Town Talk: Inspiration of the Day - 11/6/11 - LEGO Town, Architecture, Building Tips, Inspiration Ideas, and more! New York, New York - (BTT) Easily one of the most prolific and influential architecture firms at the turn of the century, McKim, Mead and White knew how to create a monumental building. 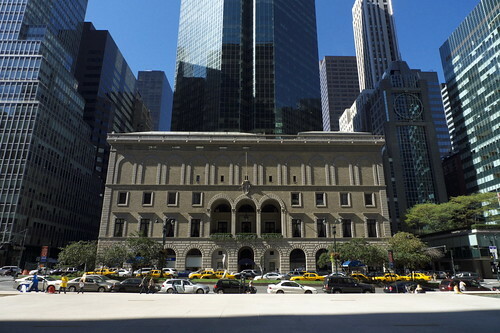 Charles Follen McKim's Racquet and Tennis Club, completed in 1918 and fine example of the Beaux Arts style, stands as a lone masonry gem in a sea of glass that is the Park Avenue of today. One of those other buildings, directly across the street from the Racquet and Tennis Club, will actually be the subject of the next Inspiration post.